West side of the Galley finally complete! Jumping for Joy! We're DONE! We are so excited to report that we FINALLY finished shingling the West side of the Galley!! 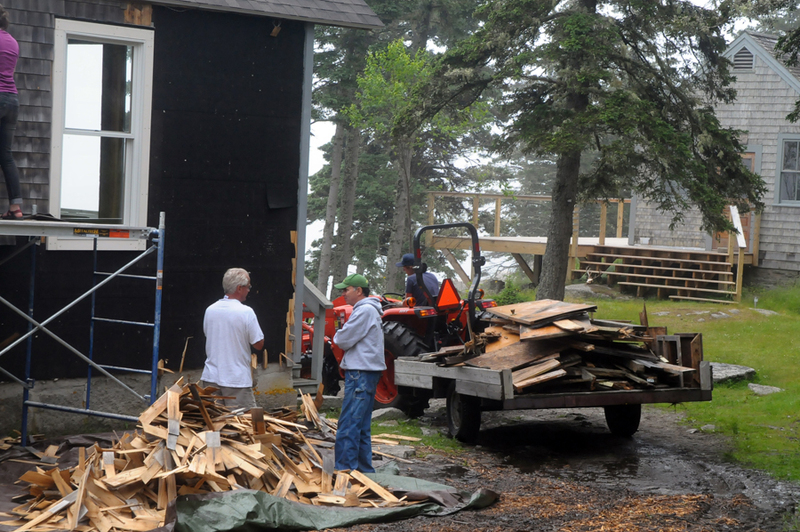 It was a great collaborative effort-- volunteers during our June Volunteer day stripped old shingles, and since then we have been picking away at the project.